Formula 10.0.6 – Deep Down Detox Orange Bergamot MUD MASK review. April 22, 2017 July 5, 2017 Categories beautybeauty, beautyblogger, beautytips, bentonite, bergamot, deepdowndetox, detoxmudmask, kaolin, londonblogger, mudmask, mudmaskreview, orange, skincare, skincaretips, skindetox, tenosix, tenosixreview7 Comments on Formula 10.0.6 – Deep Down Detox Orange Bergamot MUD MASK review. DETOX is the it-word for summer, for skin detox mud masks are the best. Mud Masks have loads of benefits like detox, deep cleansing, exfoliation and nutrition. Today I am going to share with you a mud mask I have been trying for a while now, the Formula Ten-O-Six Deep Down Detox. Apply a thin layer of the mask on cleansed skin. The mask smells WOW thanks to the the orange and bergamot mix😊. When I applied this mask I had a slight tingling feeling, which shows that the product is doing it’s job. Allow this mask to dry and then rince it off with warm water, you can even choose to scrub it off gently using circular motions ( to exfoliate) before rincing. Why the Ten-O-Six Deep Down Detox Mud Mask? The mask is filled with goodness of orange, bergamot and sea salt which help to remove impurities. The Kaolin Clay helps to soothe and nourish the skin and the Bentonite clay absorbs the impurities from the skin and helps in regeneration of skin tissues, great for fine lines and wrinkles. I have been using this mask for over a month now and my skin is more clear and bright. This mask works great for oily to combination skin. Be careful if you have dry skin this mask may dry it out more, follow it up with a rich hydrating cream. If you like this article, and would don’t forget to SUBSCRIBE to our blog! Previous Post Escape to BARCELONA. 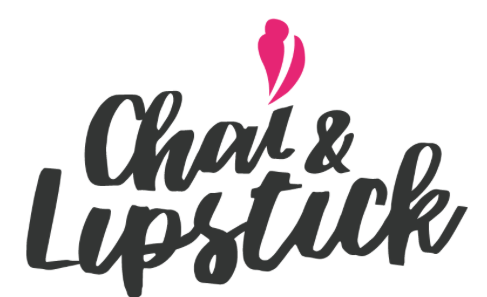 Next Post Revlon/ Bourjois/ Maybelline/ Sephora- My search for the perfect Liquid Matte Lipstick! (4 in 1 review). Orange and bergamot? That sounds like an amazing mix. Some of my favorite teas have bergamot. I also like the mixture of purifying clays. You have beautiful skin. Thanks again for writing this!